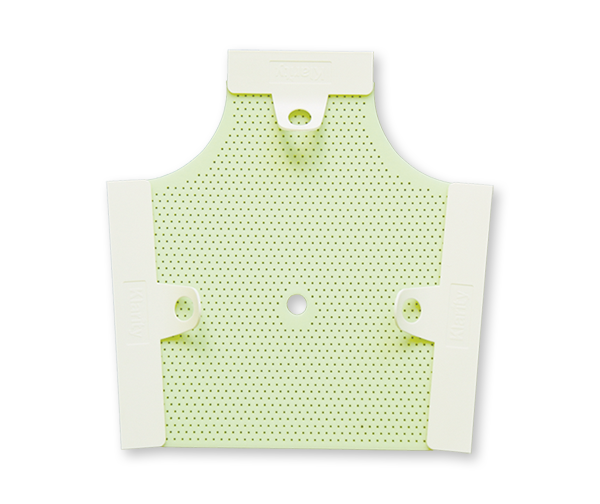 Klarity 3-Point and 5-Point O-type masks are now available in Klarity Green™ as well as Klarity LiteGreen™, our strongest material with improved molding ability and enhanced immobilization. Klarity O-Type masks feature exclusive EZ-Grip™ clamps. 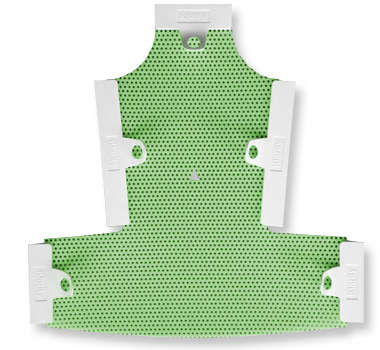 Our non-stick Klarity Green™ and Klarity LiteGreen™ thermoplastic means mask surfaces can be pulled apart if they connect. Klarity O-Type masks are available in the following sizes and perforation patterns for the greatest stability, minimal bolus effect, and better patient comfort. * Display of non-Klarity business or product names on this page is only for purposes of identifying product compatibilities. Klarity is not affiliated with or endorsed by any other business listed on this page.